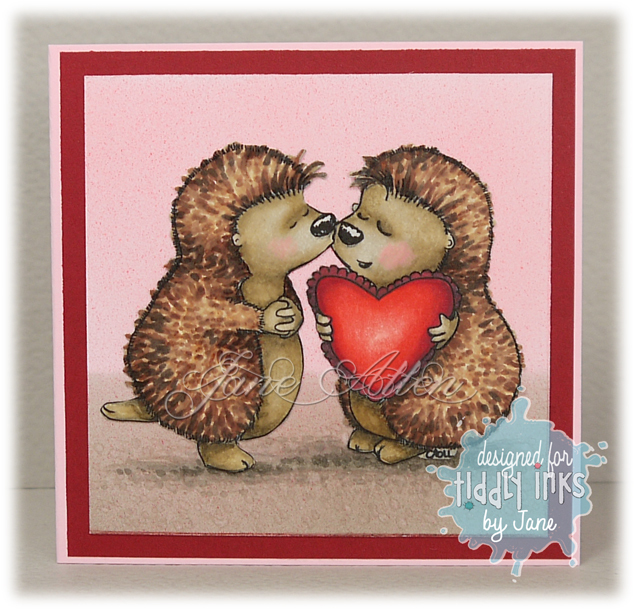 Jane's Box of Colours: Tiddly Inks Challenge - Kissy kissy! We are getting all loved up at Tiddly Inks for our new challenge! Quite a simple card this time I'm afraid.........I'm still having "fun" adjusting to the lingual braces I have had fitted to my teeth in December......and it's playing havoc with my crafting! Ho hum, I'm sure it will get better soon (I hope) and then I'll be colouring up a storm like a woman possessed and posting/sharing lots of new stuff! Such a fabulous creation Jane, as always. Such rich, creamy colours. Hope you feel more comfortable soon.